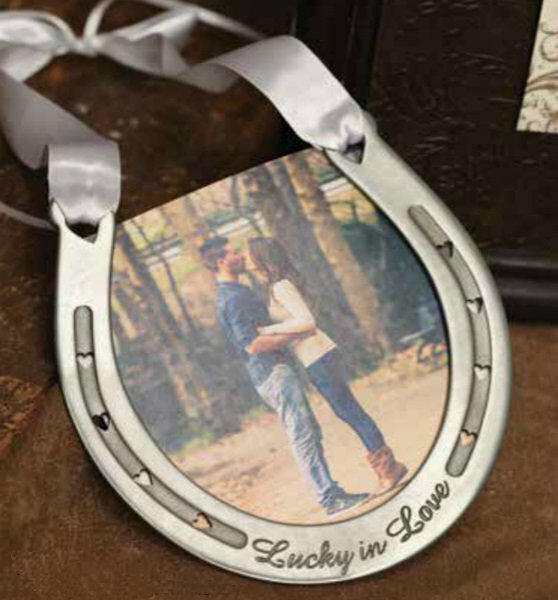 Our "Lucky in Love" horseshoe will be the perfect addition to your wedding. 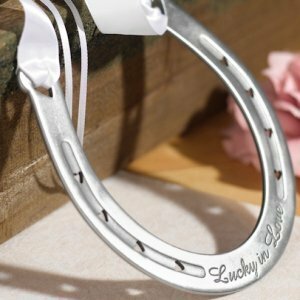 An English charm, the royal horseshoe is traditionally decorated with ribbon and given to the bride to carry at her wedding. A horseshoe is also sewn to the hem of their wedding dress for good luck. 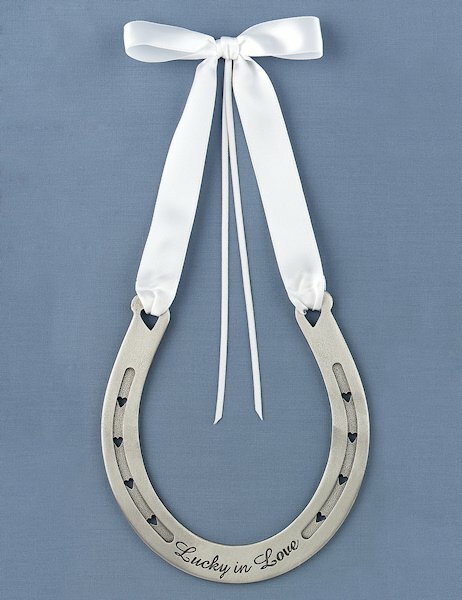 This horseshoe is made of genuine pewter and hangs from a white satin handle. The engraving reads "Lucky in Love", and is surrounded by heart-shaped decorative holes. 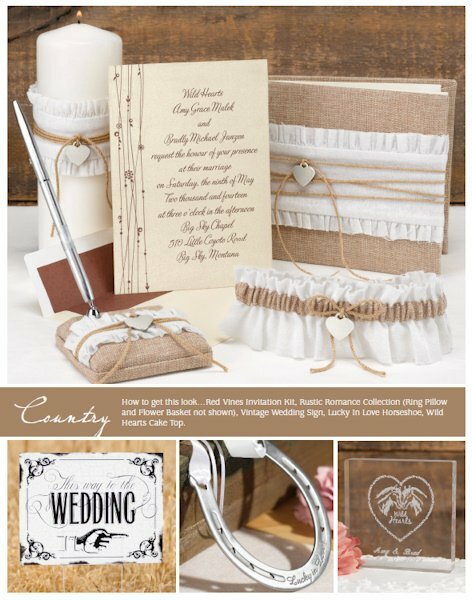 White satin streamers are included for attaching rings if used in place of a ring pillow. Horseshoe measures 5 1/2" by 6".